If you're an organized traveller like me, I'm sure you would be surprised to find that you've been walking past THE Gontran Cherrier for 3 days without even realizing. For the life of me, I couldn't remember why I didn't put this on my travel to-eat list. Imagine the horror, I missed out on having awesome flaky croissants for 3 days!!!! It was a good thing my travel partner decided to be curious. From then on, we bought pastries back to the hotel every night as supper. The original croissants were UNBELIEVABLY FRESH. It was flaky, crispy and airy. 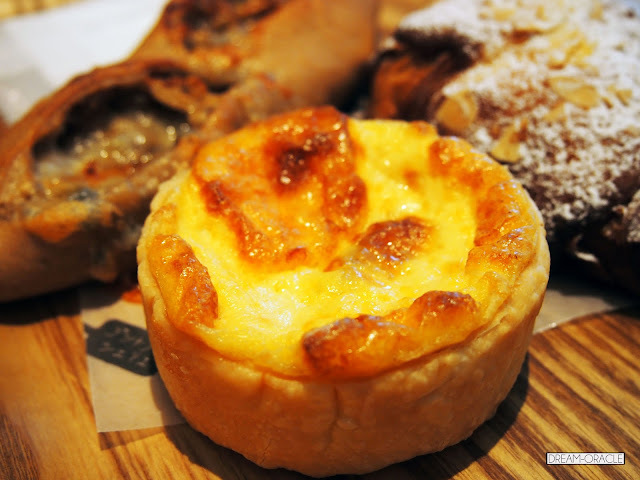 The faint buttery aroma gently wafted up your nose as you feel torn between devouring it in big bites or to savour in slowly. The chocolate ones were even more amazing. It was then we decided we have to sit at the shop itself and enjoy the other pastries. 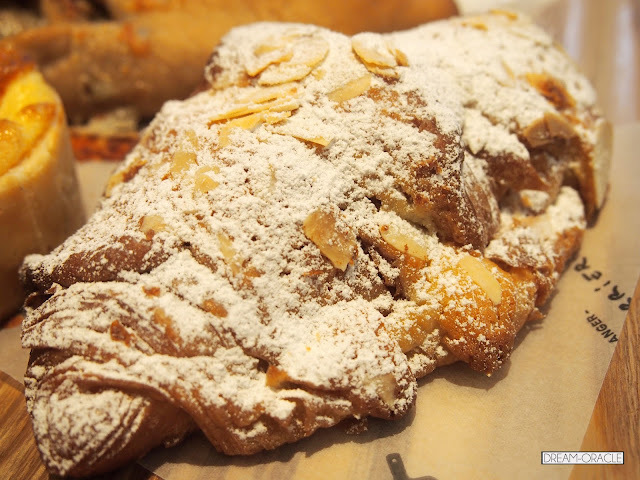 The almond croissants were dense, sweet, and were loaded with goodness. 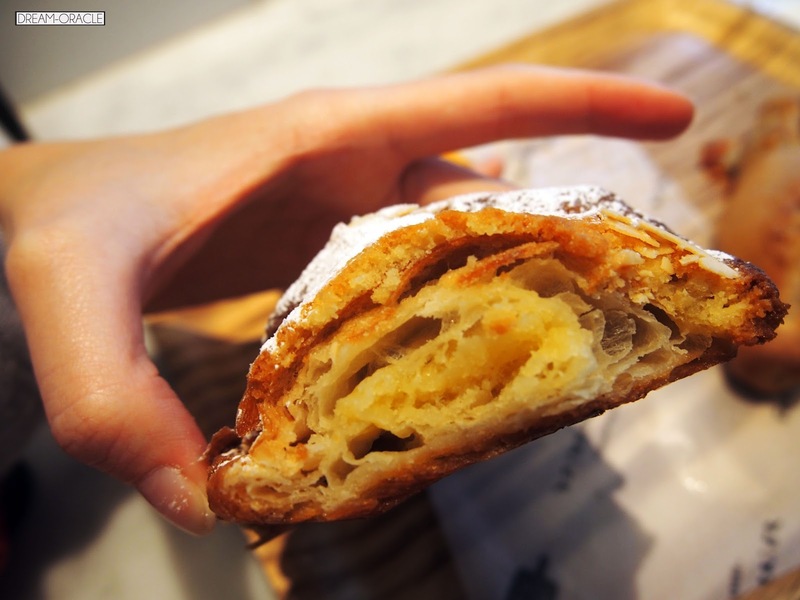 I expected the croissant to be a plain empty one, but the insides proved to be a surprise. It was loaded with something fruity and sweet, and it make me think of apples. If you're not a fan of sweet stuff, it's better to share this because it can get a little too sweet towards the end. Or pair it with some hot tea. I seldom see quiches being sold here so this is a perfect opportunity to try one. The size was just nice and it was actually quite filling without being cloying or rich. 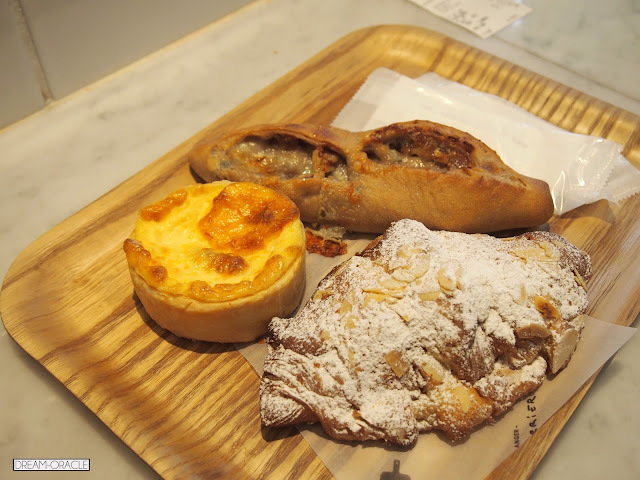 This pastry is half sweet walnut and half salty. 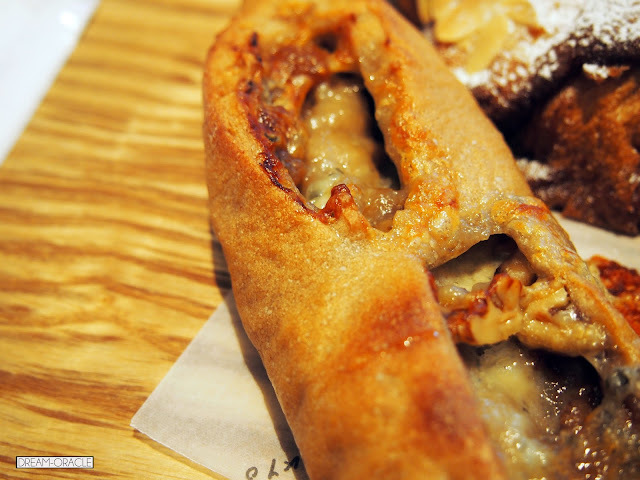 It was quite an interesting combination, and the baguette is very fragrant. It had a buttery enticing fragrance. Thumbs Up: Fresh flaky croissants! To Improve: Can we have some Matcha croissants please? Why: Cuz there's no good croissants in SG, so I must eat my fill in Japan!